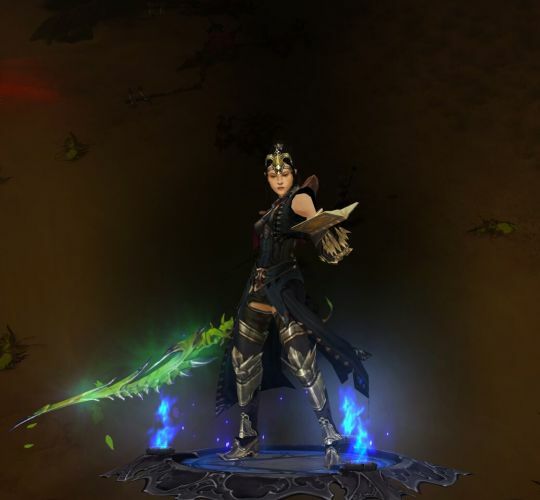 This week I took a bit of time out from World of Warcraft and have been playing a little of Diablo III. I was very fortunate to receive a lovely first from my boyfriend earlier this week – he surprised me with Diablo III! It’s just the base for now, to see if I would enjoy it. Suffice to say, I do, and will more than likely buy Reaper of Souls over the weekend. I have actually played a little of Diablo III previously – I was home sick one day and my boyfriend suggested I might like to try it out for a wee bit. I played for a little while but stuff happened in WoW so I dropped it. So I set myself up with a wizard as that’s what I’d played last time and really enjoyed it. Of course she’s named Cinder, but it doesn’t quite suit her… I’m thinking I might change it (if possible). Her abilities are straight forward – single target spells, some freezing spells (to be able to stop everyone in place and get out of danger!) an awesomely fun wave knock back ability (which is my favourite!) Here she is being all awesome with a floating orb thing! I’m finding the story line very interesting. I also like that it’s presented in chunks. It means I have a good point each time to just stop for the night and come back later on without wondering where I’m up to. So my Wizard is currently level 20. Shortly before logging off the other night she got herself a legendary sword – it’s called Wildwood and I think it looks wonderful! Leaves drop from it every now and again, and it has a lovely green glow. I’m really enjoying the game so far. I’m having a lot of fun just pottering around at my own pace doing my own thing. There’s no rush to get to maximum level which is a lovely change. I tend to feel rushed levelling in WoW because I need to get my toon ready for raiding, so I’m glad not to have that here. 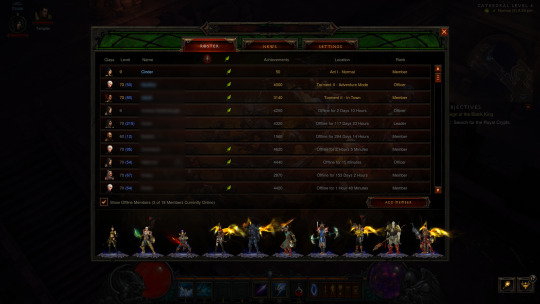 So that’s my adventures so far in Diablo III. Anyone else playing Diablo III at the moment? Are you enjoying it?